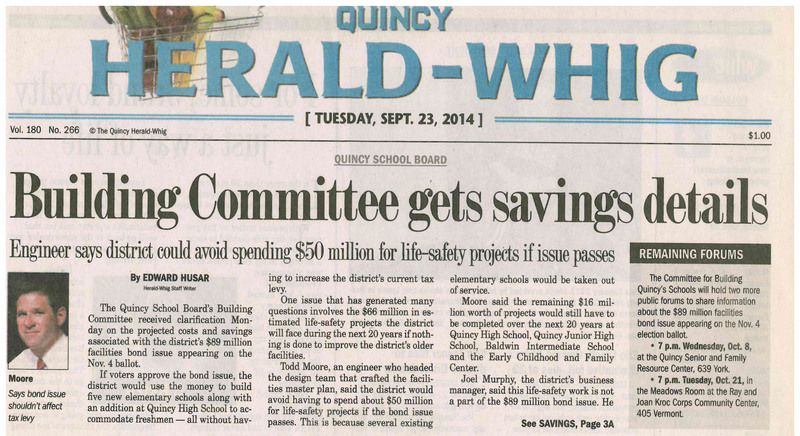 Architechnics was an integral part in selling the 2014 Quincy Public Schools Bond Issue. 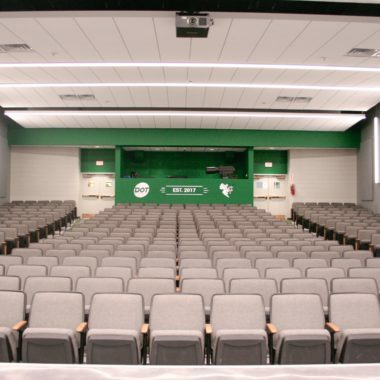 From September 2014 through the November 4th vote, Architechnics led 43 presentations at community forums, service groups, church groups and to building administrators and school teachers. 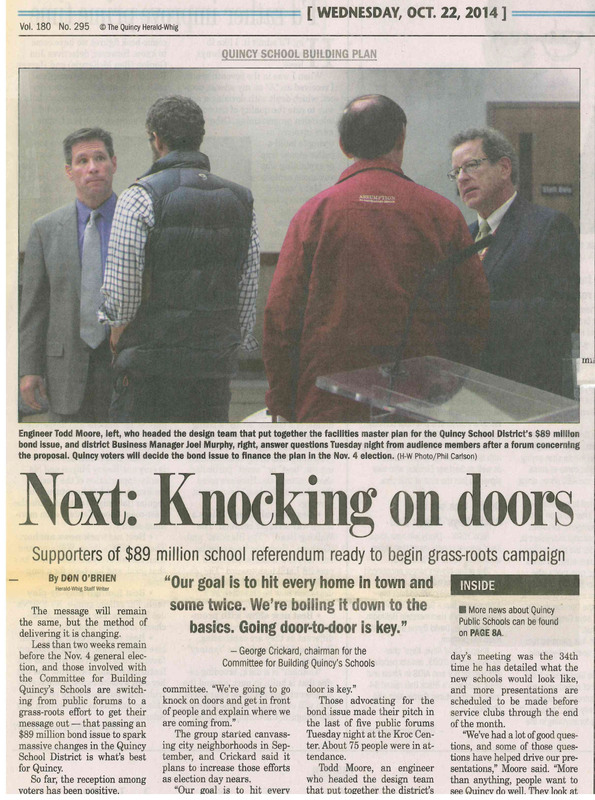 On November 4th, 2014, voters passed a referendum for the Quincy Public Schools to build and equip five new elementary schools, build an addition to Quincy Senior High School, acquire land and provide technology improvements. 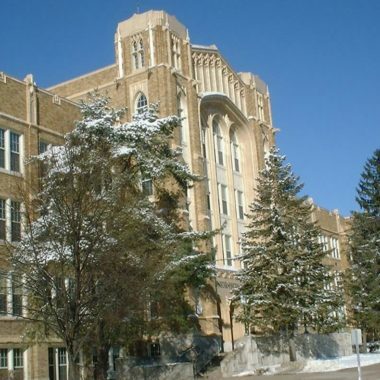 The building project will be funded with an $89 million bond issue. Architechnics led a joint venture with other local design firms, Klingner and Associates and Poepping, Stone, Bach and Associates to provide a facilities master plan in 2014. 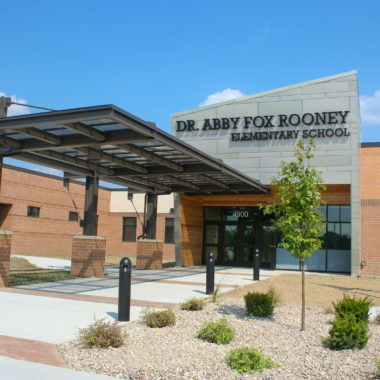 The plan guided a superintendent’s steering committee through months of planning which ultimately led to the 2014 Bond Issue. 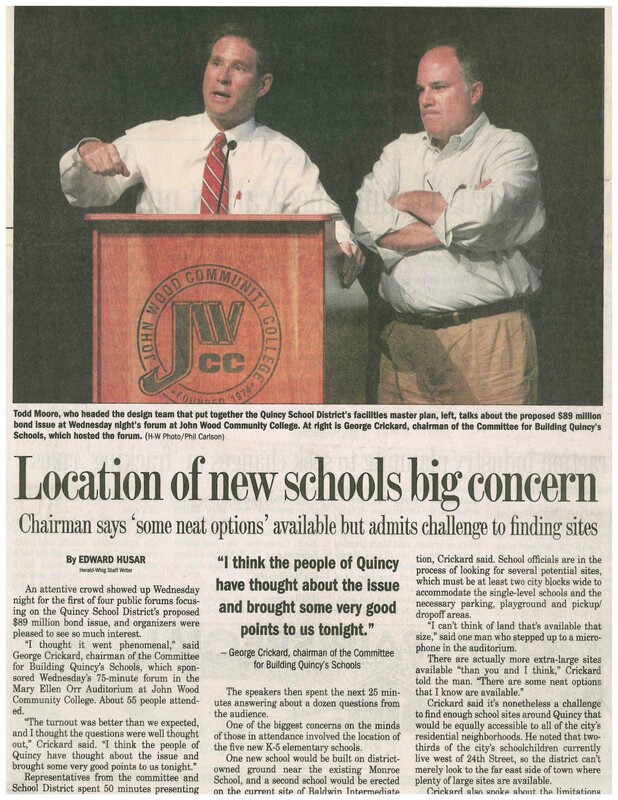 The addition to Quincy Senior High will open to students in the fall of 2016 with the first elementary school housing grades K-5 opening at the Monroe School Site in the Fall of 2017. Architechnics is currently designing the second of five K-5 elementary schools at 48th and Columbus Road. This school will open in the Fall of 2018. 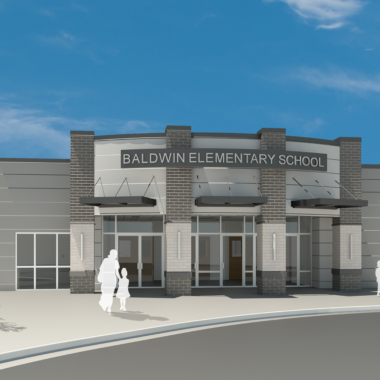 Per the construction schedule, Architechnics will design the fifth and final K-5 Elementary School at the Baldwin Site. This school will open in the Fall of 2021.